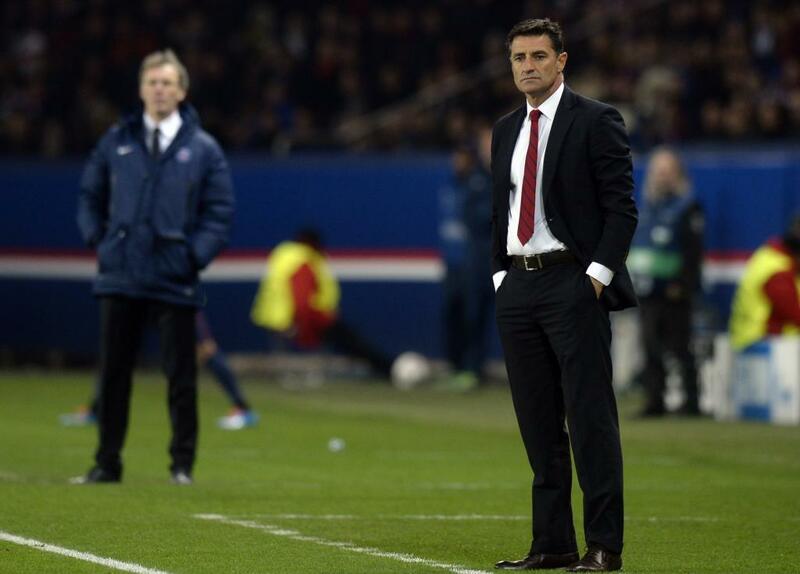 Spain Mgr Job: Luis Enrique, Michel or Sanchez Flores? Fernando Hierro’s time in charge of the Spanish national team will come to an end after he guided the side to a disappointing World Cup elimination at the hands of host nation Russia, leaving the speculation to build around the topic of who will be the next to take charge. According to Luis Rubiales, the decision will be taken on more than just who has a bigger name and reputation, and they will consider style of play above everything else, while the ideal candidate for the job will also be young, Spanish and not tied to any club. 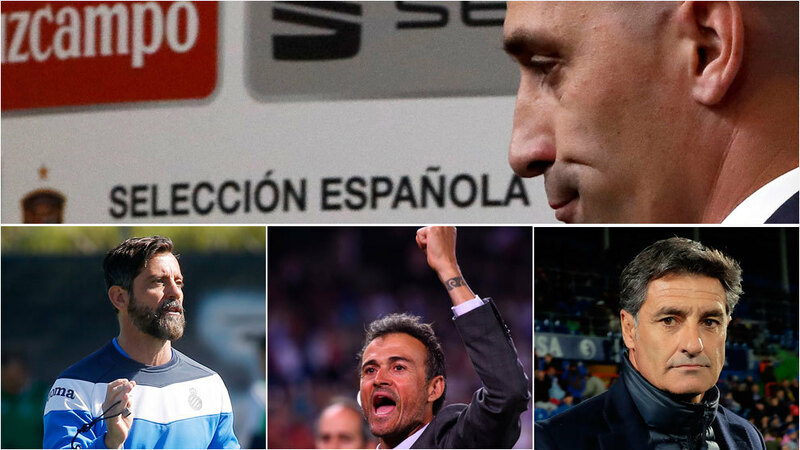 The Spanish FA have three current favourites for the role, with MARCA readers voting for Luis Enrique, Michel and Quique Sanchez Flores as their preferred options, each presenting their own pros and cons. 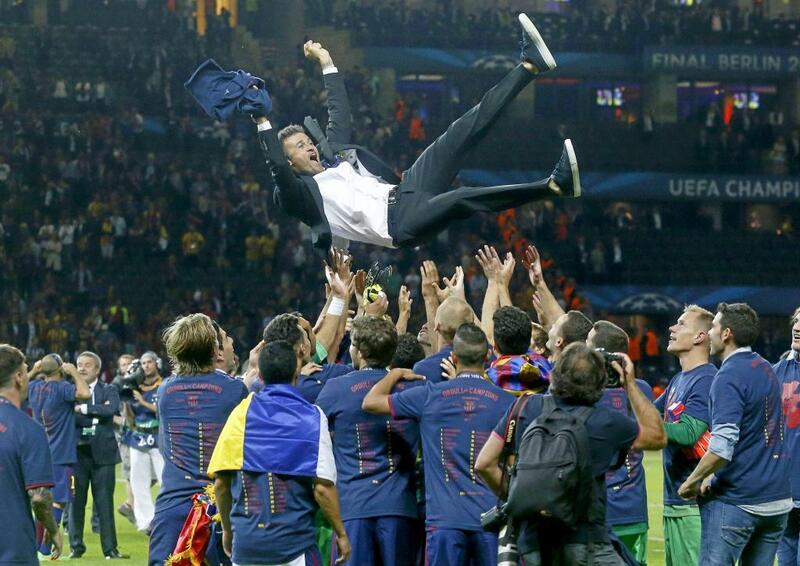 CV: Of the three, Luis Enrique is the most to boast on his CV. A Champions League, two LaLiga titles, three Copa del Reys, one UEFA Super Cup and he was the man in charge of a historic Barcelona treble-winning side. Highest level experience: With Barcelona he oversaw 33 Champions League games and was involved in a number of high-stakes matches. Additionally, he has coached big names from Lionel Messi, Luis Suarez, Andres Iniesta, Xavi and Neymar at Barcelona to Francesco Totti and Daniele De Rossi at Roma. Style: He has shown during his previous jobs that his style of play is suited to what Spain are looking for. He prefers an attractive game with quick movement of the ball but is not afraid to implement a plan B when needed. Dealings with players: It is not always an easy ride for player relationships with Luis Enrique. Jordi Alba, for example, is one that he fell out with and was even considering leaving the Camp Nou during their time together there. The environment: He often caused controversy in his press conferences at Barcelona and generally showed contempt for some of the questions put his way. Wage: One of the main reasons that he is without a job at the moment is his high wage demands, which is what turned both Arsenal and Chelsea off previously. Relationship with players: Michel maintains a good relationship with a number of Spain’s important players, notably Sergio Ramos and the other Real Madrid stars. He has also often praised Barcelona, so being an ex of Real has not alienated him from the Camp Nou-based players. Style: Wherever he has been, he has opted for attractive football and would slot in nicely on the Spanish bench. Man management: If there is one thing that elevates him above most other coaches it is his ability to manage each individual in his dressing room. Players are always quick to speak wonders of him. CV: Beyond Olympiacos there is no high-level job that jumps off his CV and he has not always succeeded when given bigger jobs. Little management of stars: With Olympiacos, Sevilla and Marseille he took charge of some good players but there were no world class superstar egos to deal with. Taking charge of Spain would present a completely new challenge. Recent disappointment: His spell with Malaga was a disaster and though there were circumstances beyond his control that played into that, it might not do him any good in his hopes to become Spain boss. Great strategist: His ability to study games and change things up during a match is second to none and this is surely something that elevates him above the other candidates. Dealing with the environment: He knows how to handle the press and he has always maintained a good relationship with the media. Work with stars: In addition to his trophy cabinet, he has been in charge of world class players during his time with Valencia, Atletico Madrid and Benfica. Style: The biggest mark against him. He is not one for an attractive brand of football and can be more of a reactive coach. Problem with longevity: He can be divisive within a dressing room and he rarely lasts a considerable length of time in any job. CV: He won titles with Atleti, but has never done much in the Champions League, failing to even reach a quarter-final.